Patrick was born in Ballymahon Co. Longford, c.1879, however the family appear to have left Ireland by 1901. 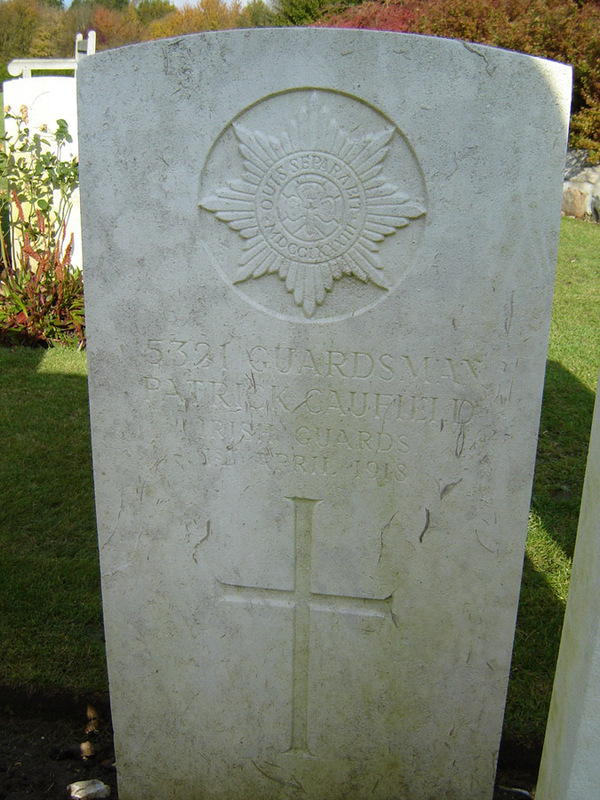 He enlisted in Glasgow and went to the Western Front in June 1915. He was wounded during the German Spring Offensive of 1918, either in a fierce attack by the Germans between Lens and Albert on the 28 March or on the 30th. He died in a field hospital, likely the No. 3 Canadian Stationary Hospital, in Doullens in the Somme region of France. Patrick was survived by his siblings: James, Bridget, Mary, John and Kate.